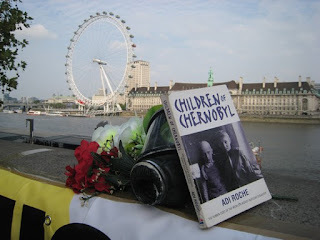 26 April 2011 - CND and Medact staged a vigil and parliamentary meeting at Portcullis House in Westminster to mark the 25th anniversary of Chernobyl, the world's worst ever civil nuclear disaster. 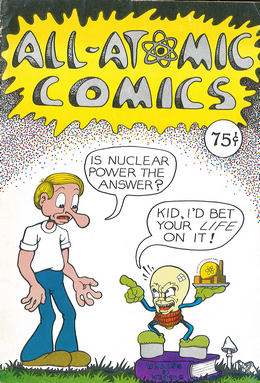 The accident at reactor 4 took place in Ukraine on 26th April 1986, with the fallout spreading across Europe and beyond. Commemorative events were being staged all around the UK and worldwide on Monday and Tuesday to mark the occasion. 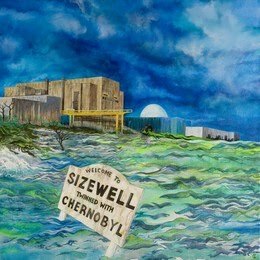 The Chernobyl sarcophagus, built to contain the further escape of radioactive material from the crippled reactor, is reported to be breaking up, and the international community is being asked to contribute billions of pounds towards the constuction of a new containment structure. It is likely that similar structures will need to be built at all four of the affected reactors at the Fukushima Dai-ichi nuclear power plant in Japan, crippled by a failure of the reactor cooling systems in the wake of the March 2011 earthquake and tsunami. 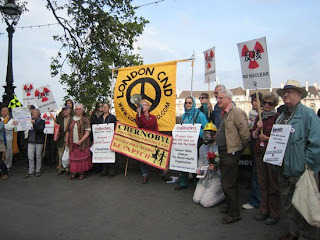 Speakers at the vigil on Victoria Embankment, opposite Portcullis House, included Sophie Bolt from London Region CND, Marion Birch from Medact, Linda Walker from the Chernobyl Children's Project UK and Susie Greaves from Independent WHO. 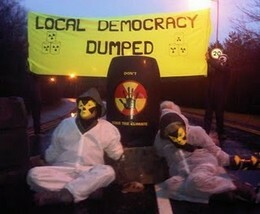 The latter is an international campaign for a World Health Organisation independent of the International Atomic Energy Agency (IAEA), part of whose remit is to promote nuclear power worldwide, and who report to the UN Security Council. The two organisations have an agreement since 1959 which effectively gags the WHO from conducting independent investigations and producing independent reports into the health effects of atomic radiation. A Japanese student also circulated a petition regarding the Fukushima disaster and nuclear power in Japan. 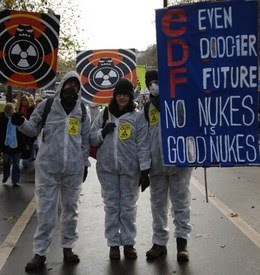 The parliamentary meeting which took place afterwards, chaired by Green Party leader Caroline Lucas MP, was addressed by Labour MP and former Minister of State for the Environment, Michael Meacher, a long-term opponent of nuclear power, Professor Dillwyn Williams (University of Cambridge) and Dr Paul Dorfman (University of Warwick, Nuclear Consultation Group). 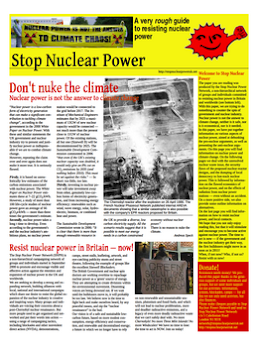 All images are Copyright (c) 2011 Stop Nuclear Power Network, but may be reproduced free of charge if credited. For high resolution versions, please e-mail.